Always update your PC, laptop, tablet or smartphone system patches and security software from a trusted vendor (Antivirus, Anti Malware and Anti Spyware). Be careful when using a computer at a public place or one not having the latest security software. Always log out from your Bank One Internet Banking account by clicking on the ‘Log Out’ button (i.e. outgoing arrow on the top right corner of your screen) and following the instructions until you see the onscreen message ‘You have successfully logged out’. Close your browser window subsequently. Never store your password or account/card information on paper or electronically on word, excel or text documents. Always keep your devices (PC, laptop, tablet or smartphone) protected with a password/PIN. Our aim is to make your online banking experience safer and more enjoyable. Call us on 202 9200 or send us a message using the contact form provided on our website for any further assistance or advice. Phishing is an internet scam whereby fraudsters send emails with the intention to collect critical personal and financial information. Phishing emails look genuine and appear to be coming from a legitimate source. However, they always contain a link to a fake website, asking you to provide an update or confirm sensitive personal information and/or have a warning stating that your card or account has been suspended and that you need to click a ‘secure’ link in order to activate or restore the use of your card or account. A phishing scam may also originate in different ways, and not just via a fake email. In some cases, you may encounter a pop-up advertisement when visiting certain unsafe websites or you may even receive a phone call from an unknown source, usually an international caller from an unfamiliar location. The fraudsters often use fear tactics to get their victims to take action and, in so doing, divulge their personal and financial information. Bank One works in close collaboration with Fraud Watch International to detect and shut down any fake website that attempts to impersonate its own website and/or Internet Banking platform. We also rely on our customers and the public at large to inform us immediately if ever they encounter such websites so that we may take appropriate countermeasures to disable them and warn our customers from the danger therein. 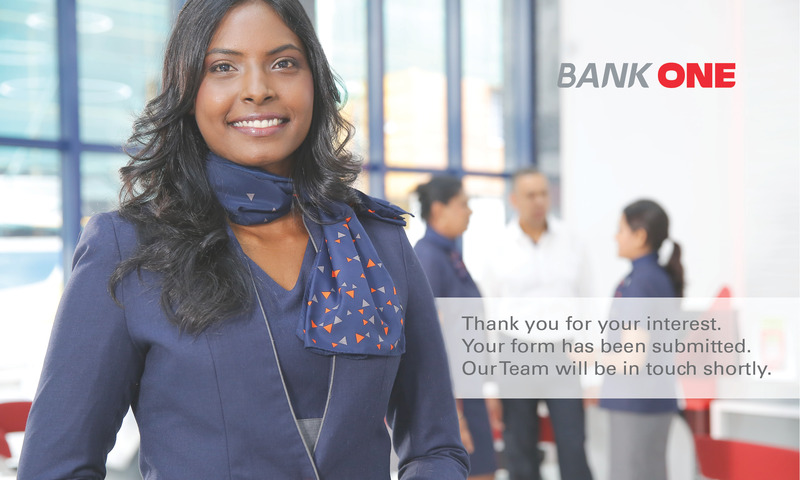 We recommend that you always log onto our official website by typing the correct URL: www.bankone.mu on your browser. Similarly, when logging on to your Internet Banking account, please verify that the URL reads as https://bankoneclick.mu to confirm that you are accessing our secure website. We wish to remind you that Bank One will NEVER send you any email inviting you to click on a link to access your information, change a password, or for any other reason pertaining to your accounts. Should you receive any such an email, do not respond and do not click on any of the links inside. Inform the Bank immediately and, then, delete the email from your Inbox. How do I transfer money to an existing beneficiary? Click the required payment type (e.g. “Local Payment” or “International Transfers”). Select any of your Personal Payee in the “Beneficiary Type” drop down. How do I view previous SWIFT transactions? You may view previous SWIFT transactions by performing the following steps: . How do I view SWIFT requests that are not yet processed? How do I set email alerts for Daily Transactions and End-of-Day Balances? How do I register my mobile phone number to receive One Time Passwords (OTP)? You may register you Mobile Phone Number to receive One Time Passwords (OTP) by sending a secured email through the Internet Banking platform or by asking your Relationship Manager to update your contact details on our system (Mobile Number and Email Address). Once you receive a confirmation message from the Bank that your mobile number has been registered, you may start to transact normally. Why am I unable to register for Internet Banking using my card? Make sure that no space is inserted between the numbers, that your PIN is correct and your card is active. How do I view/download my bank statement for the last 3 months? Go to My Accounts from the Main Menu. Select Current & Savings. Click on More Actions button (3 horizontal lines) > View Transaction history > Search Transactions. You will be able to download bank statements for a period of 90 days at a time. How do I add a new international beneficiary? You may add an international beneficiary by initiating an International Transfer [SWIFT]. Once you have entered the transaction details, tick the “add to Personal Payee list” box. How do I edit my beneficiary details? How do I log out from the Internet Banking platform? To log out from the Internet Banking platform, click on the ‘Log Out’ button (i.e. outgoing arrow on the top right corner of your screen) and follow the instructions until you see the onscreen message ‘You have successfully logged out’. Close your browser window.